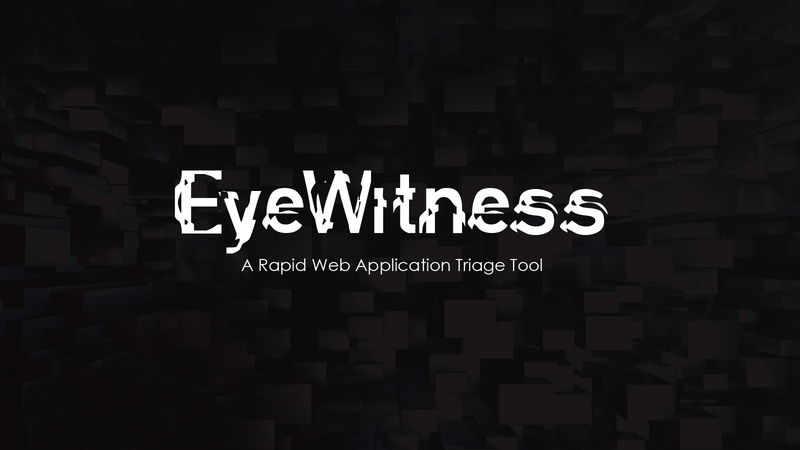 When using "-web", EyeWitness will call selenium, which uses the actual browser (IceWeasel or Firefox) installed on your system, to take screenshots. You won't see s browser pop-up, but it's running in the background, and taking screenshots of the URLs that you provided. You can also use "-headless" to use phantomjs to take screenshots of websites. The nice thing about phantomjs is it's very fast, and can run in a headless environment. By default, EyeWitness will use 10 threads, but this number can be adjusted by the user with the "-threads #NUMTHREADS" option. The ability to run threaded scans has significantly cut back on the amount of time required to scan all URLs provided to EyeWitness. It also has the ability to to take screenshots and generate a report for RDP and VNC, all you need to do is, is use the –rdp or –vnc switch.